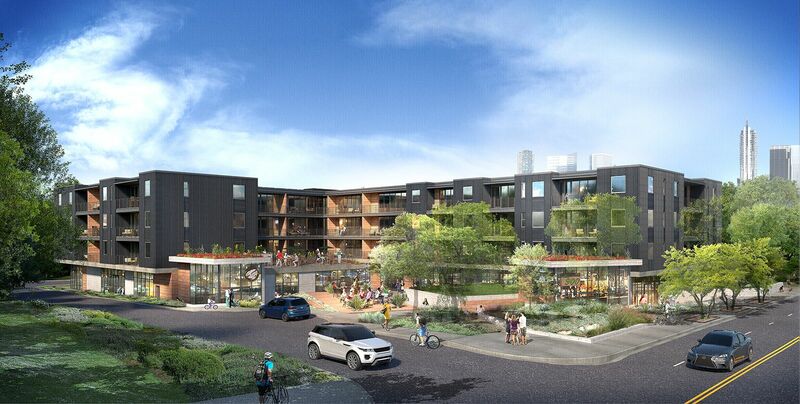 900 will combine 63 modern residences, generous public, retail and boutique work spaces, all of which will be nestled sensitively into the existing fabric of the historic Bouldin Creek neighborhood and the vibrant South First District. Location South First Street is an eclectic retail, café and restaurant district with unique and local gourmet food trailers, craft beer taverns, bakeries, vintage boutiques and cool art galleries. Enjoy the best of Austin’s outdoors with Barton Springs, Zilker Park and the Hike and Bike trails of Lady Bird Lake only steps away. Walk from 900 to the funky South Congress District to indulge in hip homegrown boutiques and “Keep it Weird” kitsch or listen to some of Austin’s biggest musical showcases in some of the city’s most iconic music venues. Interiors The contemporary and sophisticated interiors create a soothing ambience with a refined color palette. 900 offers a variety of livable units that have been meticulously designed with every floor plan offering flexibility and efficiency with no wasted space. Live large in units that have clean, modern detailing and design and are fully inclusive of all luxury finishes and amenities so that all you have to do is move in and relax. The Amenities Residents will enjoy the exclusive use of an outdoor lounge and grill deck and co-working spaces along with proposed restaurants and wellness facilities on the ground floor plaza. The building’s three-level underground garage will have secure parking for residents as well as secure storage, bike lockers and dog wash amenities. Shared Spaces Shaded by mature Live Oaks, is a remarkable central plaza that serves as the hub of activity for residents and visitors alike. Relax in peace or meet up with friends in thoughtfully designed nodes with seating, tables and landscaping for quiet work, relaxed dining or entertaining.